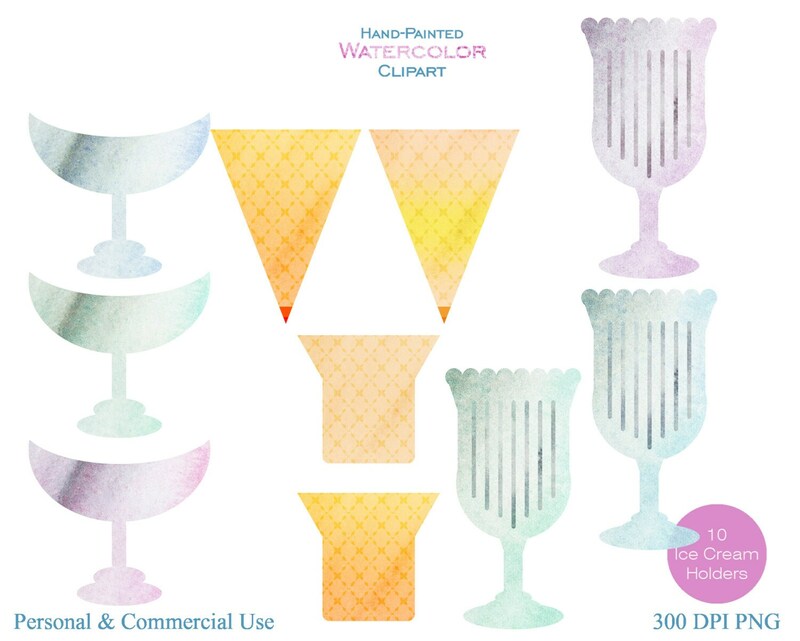 Check out the BLOG for weekly FREE Clipart, digital papers, & clip art sets! New shop with My Graphics on Gifts & More! 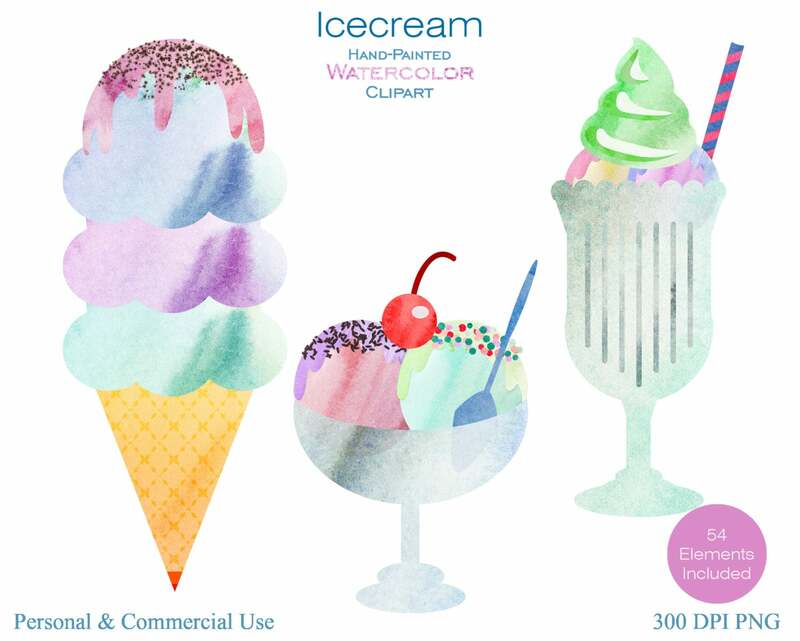 WATERCOLOR ICE-CREAM CLIPART - 54 ELEMENTS! 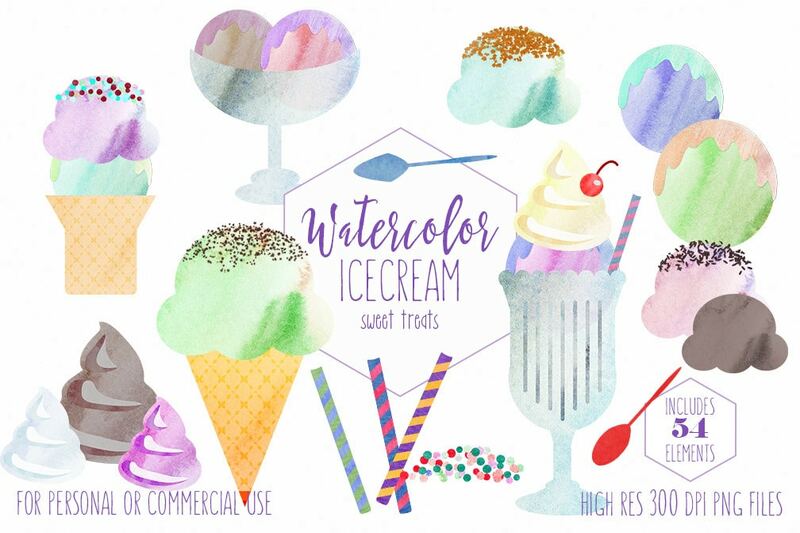 HAND-PAINTED Watercolor Textured CLIPART Set- 54 FUN Ice Cream Elements WATERCOLOR Sundaes - ALL Hand-Painted WATERCOLOR TEXTURED ICE CREAM CLIP ART ILLUSTRATIONS- Have fun creating with this set of WATERCOLOR ICE CREAM CONES! For personal and COMMERCIAL USE! No strings attached! Our clipart can be used for anything, any purpose. No need to ask! See shop Policies for more detailed information. 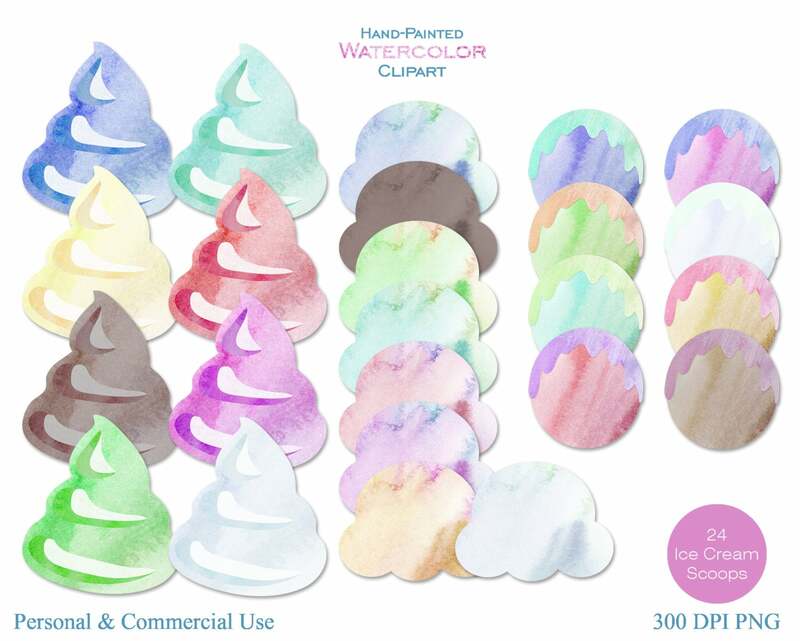 Large high quality digital Images of WATERCOLOR ICE CREAM. Printable Graphics for iron on transfers, Websites, Crafts, Cards, Invitations, and more. All images are large, High quality 300 DPI png files. - 54 WATERCOLOR ICE CREAM ELEMENTS shown in first 4 photos - Images are separate elements, as shown in last 3 photos, and no drop shadows included on images purchased. 300 dpi PNG files, with transparent backgrounds Large High Quality Images Can easily be sized up and down as needed! Graphics come as 300 DPI Transparent PNG Images, Digital Paper Packs are 300 DPI JPG Files. Once payment is complete, digital files will be available for download in your Etsy account and an email will be sent to your Etsy registered email, with a download link. Downloaded products are non-refundable. By purchasing artwork from Clipartbrat you are granted a one-person non-transferable license to use the artwork for personal and commercial use. If you have a small or home-based business or a shop on ETSY, you can use any of the images you purchase in Clipartbrat's shop in your own products you sell (including digital). Up to 500 items may be sold/manufactured per clip art set purchased. With no credit required. Beyond 500 pieces will require an extended use license, contact me for details. By purchasing artwork from Clipartbrat you are granted a one-person non-transferable license to use the artwork. If you have a small or home-based business or a shop on ETSY, you can use any of the images you purchase in Clipartbrat's shop in your own products you sell (including digital). 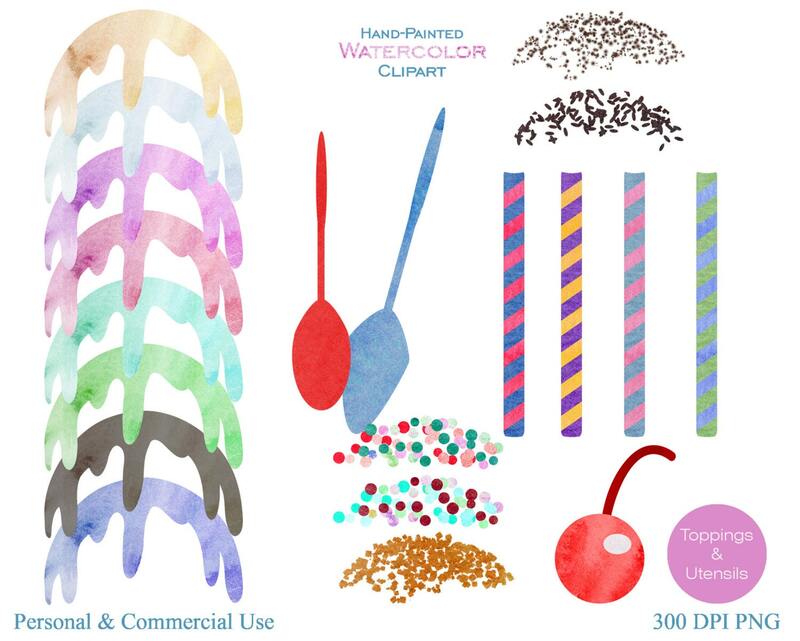 Up to 500 items may be sold per clip art set purchased. With no credit required. Beyond 500 pieces will require an extended use license, contact me for details. © 2019 ClipartBrat Unique Graphics and Watercolor Clip Art.